GDC Tuesday: Playdom on Behavioral Economics in Games | Motivate. Play. Tuesday morning featured a talk from Disney-Playdom about the use of behavioral economics in games. The presenters were Dave Botkin, VP of Business Intelligence at Playdom and Dr. Elena Rykhlevskaia. I spoke a little about this talk in my early impressions post, but here I will discuss in more detail the theories being used and how Playdom is applying them to game design. Before we get started I want to provide you all with a little warning. 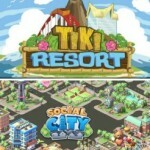 Social games have provide developers with oodles of behavioral data. I think particularly because enjoyment is difficult to operationalize companies are using purchasing information to make design decisions. For example, ARPU or average revenue per user. What this means for design is that designers seem to be getting some pressure from analysts to listen to revenue. Most of the ideas in this talk related directly to how to make players more likely to pull the trigger on purchases. That said, there were a few ideas that seemed to focus on optimization of the player experience. Also before we demonize social game companies for being the Vegas of Facebook, remember that these techniques have been used in retail and sales for a long time. Let's also remember that behavioral economics would tell us that the Nash equilibrium in this case is for companies to use these techniques. Especially since companies are profit maximizing entities. The first part of the talk focused on the role that the reward pathway particularly the nucleus accumbens plays in predicting future rewards. The claim here is that there are specific parts of the brain that predict rewards and losses. In the future the study of these will eventually play a large role in game design and future purchasing behavior. Using behavioral economics and brain science to understand what players really want. They didn't go into this too deeply, but they talked about providing mechanisms that promoted engagement among different player types. They mentioned the idea of players being optimizers or more concerned with pure aesthetics in a game like Social City. Relatively of Preference and the Tom and Jerry Experiments. These experiments were designed so that a person has three options Option A Option B and Option B-. In the experiment Option B- is slightly less attractive that Option B. What the results of the studies indicate is that a player is more likely to choose an option when it is accompanied by a less attractive option. According to the presenters making the bridge from games here is relatively straightforward. If designers want players to chose a specific item from a list accompany it with a less attractive option that is nearly identical to the item. Developers can take advantage of anchoring to get players to pay more money or buy more currency than they might otherwise. Anchoring is when a player is presented with a high number and automatically adjusts their expectations of price relative to that number. The examples used were experiments where a subject would spin a wheel that would land on either 10 or 65. Depending on what number the wheel landed on the subject would guess higher or lower when asked to estimate the population of a country in Sub-Saharan Africa. Once the player is anchored to a higher number they see lower numbers as good deals. Framing can help developers overcome loss aversion by framing the problem in way that the player doesn't view it as loss. Relative pricing simply means that designers can put the price points higher as long as all the price points are high. The example given was that a person would view the price of peanut butter as fair along a wide continuum of prices so long as all the prices were relatively equal. Jim and I have actually written on the paradox of choice. The paper is still in press, but for those wanting to see a rundown of our thoughts check them out here. The presenters were a little cagey about the paradox of choice, actually due to a relatively recently released meta-analysis by Peter Todd and Benjamin Scheibehenne that demonstrates the paradox of choice doesn't seem to exist – or exists but only under certain conditions. Interestingly, the Dragon Age experiment that I posted about a few weeks ago is actually an empirical test designed to look for these conditions in games. Designers can use social validation to make certain items more desirable. The example here being that a half empty cookie jar makes the items appear to be in high demand. So keep you DLC cookie jars ½ empty! Making items “Limited Edition” or “Limited Time Only” can create a sense of scarcity for the players. Since the items are temporally scarce and only available for a limited time they will be more likely to purchase the item. So there you have it the use of behavioral economics in games. Right now it appears that most of the findings of behavioral econ are being applied to increase purchasing behavior and raise ARPU. I and others who have commented on my early impressions post believe that there is more potential for behavioral economics in games. I for one would like to see the application of findings form behavioral economics, game theory, and incentive theory to designing more fun/engaging social institutions in games. Hopefully these are just low hanging fruit and just the tip of the iceberg. I do get the impression that the designers, analysts, and psychologists at Disney-Playdom have more ideas up their sleeves. GDC Tuesday: Playdom on Behavioral Economics in Games by Travis Ross, unless otherwise expressly stated, is licensed under a Creative Commons Attribution-ShareAlike 3.0 Unported License.